Sacramento, CA – June 6, 2018 – The third annual California Nonprofits Day was celebrated today at the State Capitol in Sacramento, honoring organizations statewide as Nonprofits of the Year. 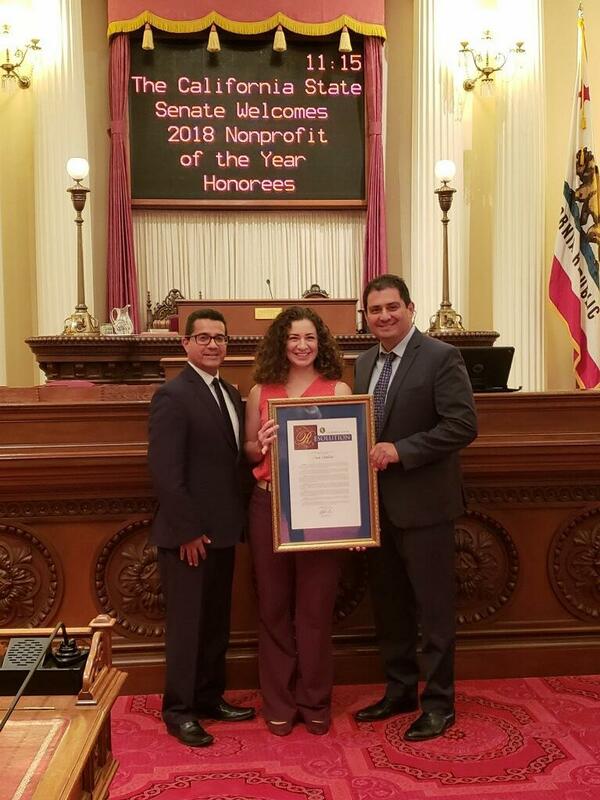 Senator Ben Hueso (D-San Diego) recognized Casa Familiar, a community development agency in San Ysidro, as the 40th Senate District’s honoree. Founded in 1973, Casa Familiar is a 501(c)(3), community-based organization whose mission is to organize and empower residents in San Ysidro and South San Diego to take an active role in their communities. The organization achieves this goal by involving residents in civic engagement, sustainability and quality of life issues affecting their region. Casa Familiar provides more than 40 bilingual programs and services at six different local sites, including programs geared toward Civic Engagement, Health and Social Services, Arts and Culture, and Education. The organization is widely recognized for its understanding of the unique challenges faced by border communities, and is a steadfast advocate for the border region as an untapped asset for international, humanitarian, environmental, economic and infrastructure development. California Nonprofits Day is an annual celebration organized by the California Association of Nonprofits (CalNonprofits), a statewide alliance that advocates for California’s nonprofit community. This year 97 nonprofit organizations were recognized during the ceremony at the State Capitol in Sacramento. Each honoree was selected by their local legislator as a stellar nonprofit organization in the district. Honorees visited the Senate and Assembly Floors and then gathered for a luncheon, where State Superintendent of Public Instruction Tom Torlakson gave the keynote address. Other speakers included Geoff Green, Chair of the CalNonprofits, and Asm. Monique Limón, Chair of the Assembly Select Committee on the Nonprofit Sector.